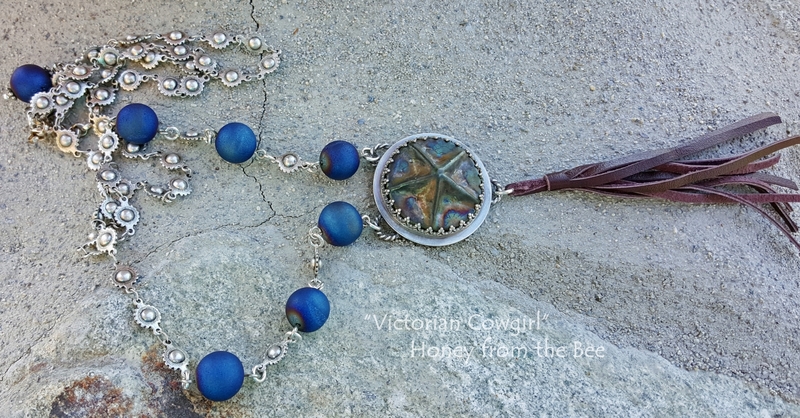 Victorian Cowgirl, Prairie style, Boho Style necklace! How many of you watched Penny Dreadful? It was a clever show inspired by the Penny Dreadful pamphlets that were popular in Victorian England. The show was both romantic and very frightening at times. It's an era where science was just starting to make great strides, but many still believed in monsters and spirits. Maybe we don't want to advance so much, as what's life without a little unexplained magic? The ceramic star focal is by Lisa Peters. It was given a raku finish - fired not only in a kiln, but afterwards thrust into a roaring fire. I always love the colorful outcomes. I've set it in sterling silver and dangled a leather tassel from the bottom. 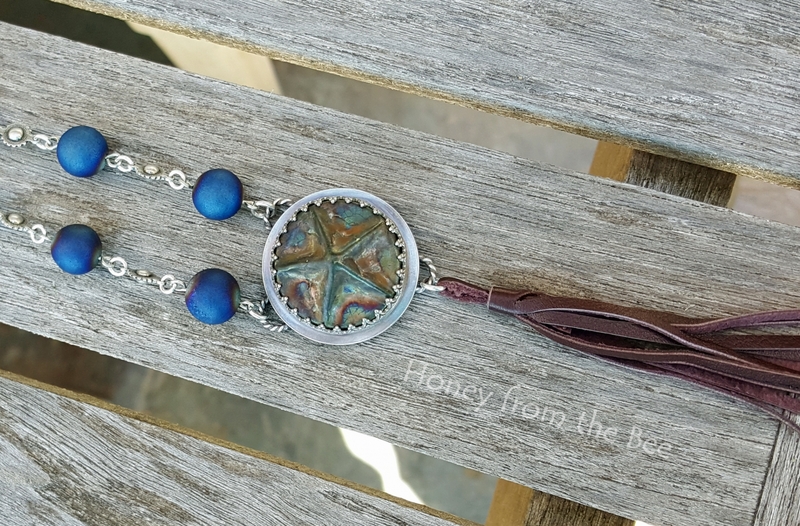 The chain is not sterling silver, but it has a timeworn vintage look to it that reminds me of cowboy conchos. 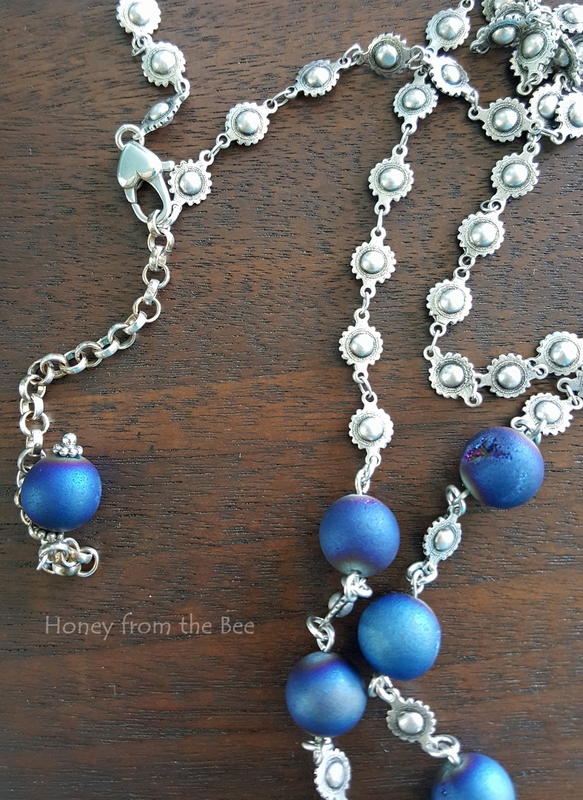 I've added some gorgeous druzy agate beads in midnight blue. 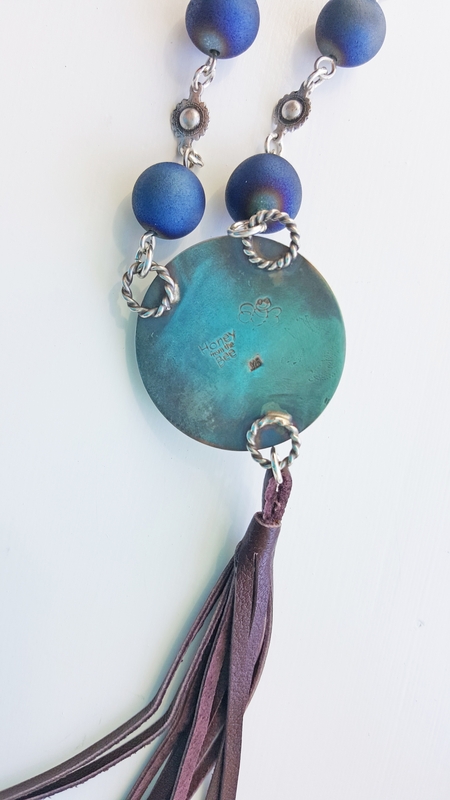 Pendant is 1.25 inches in diameter with an additional 3.5 inches for the tassel.